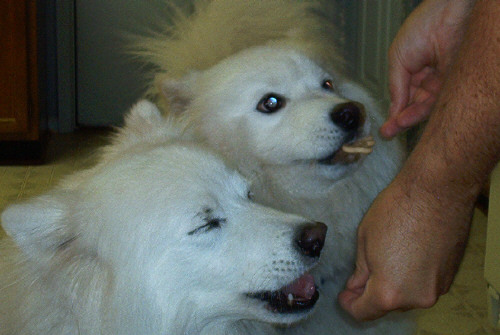 Klondike and Marra may not have been from the same breed, but they truly were brother and sister in our eyes. 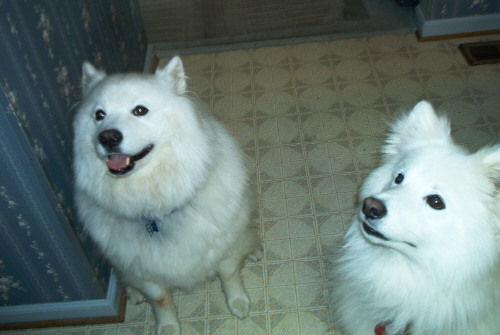 It's hard to imagine pictures without both dogs in them. 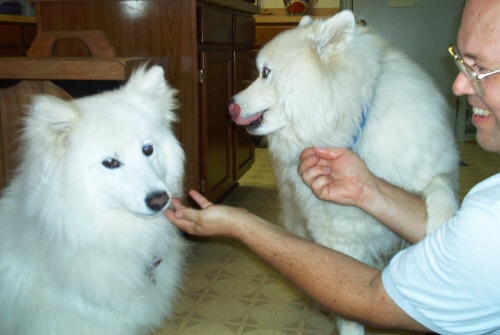 Marra poses for the camera as Klondike licks his lips. 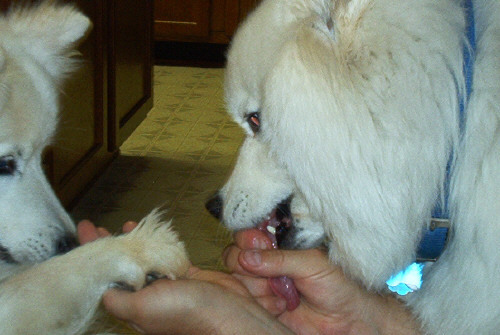 Marra extends her paw while Klondike licks the hand that feeds him!